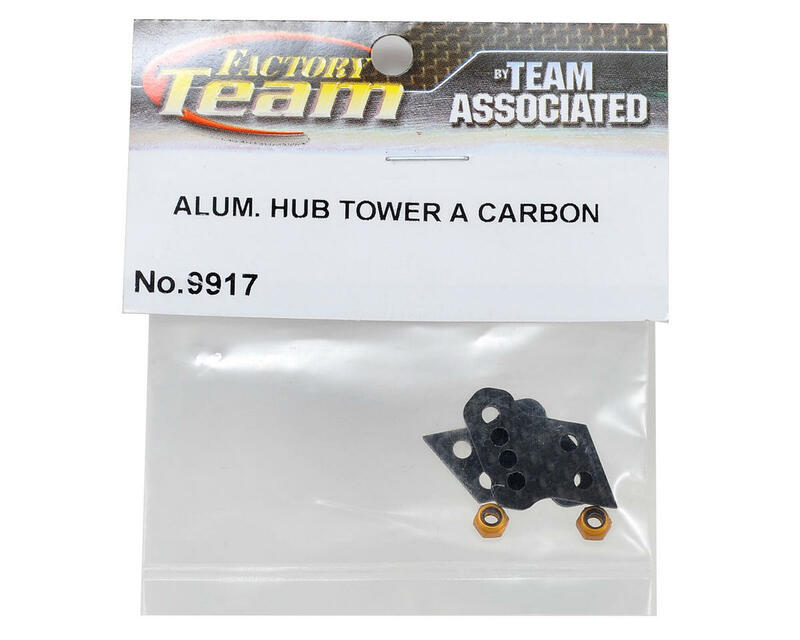 This is a replacement Team Associated Factory Team Aluminum Hub Carbon Fiber A Tower Set, and is intended for use with the Team Associated B4.2 1/10 scale buggy. 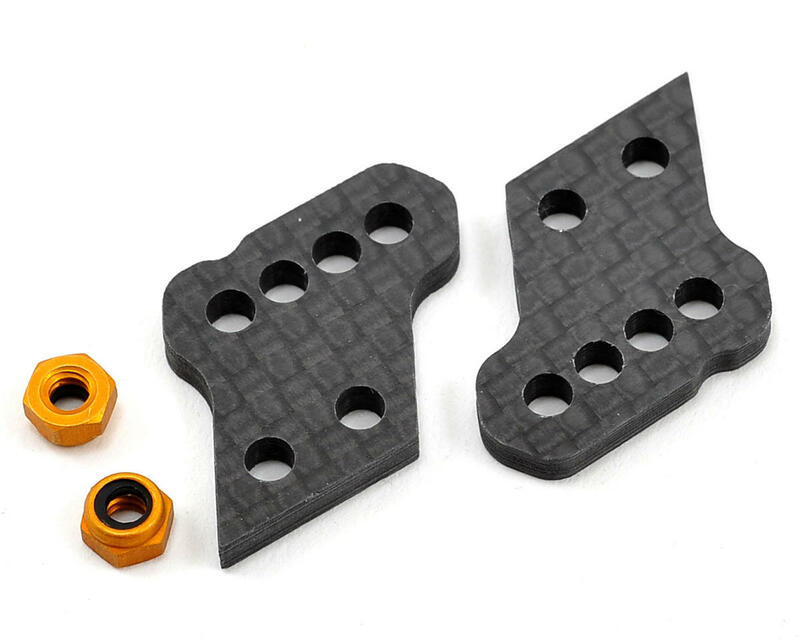 These towers can also be used optionally with the B44.2, SC10, T4.1, B4.1 and B44.1 when equipped with the optional Team Associated Aluminum Rear Hub Set (ASC9864, ASC9865 & ASC9866). These 2.5mm thick rear hub towers provide additional clearance for the Factory Team 12mm Big Bore Shocks by moving the turnbuckle away from the shocks. Identification marks make it easy to distinguish the hub towers apart (1 notch = A Tower, 2 notches = B Tower and 0 notches = C Tower).